Reading 1: Is. 49.1-6; Reading 2: Acts. 13.22-26; Gospel: Lk. 1.57-66, 86. 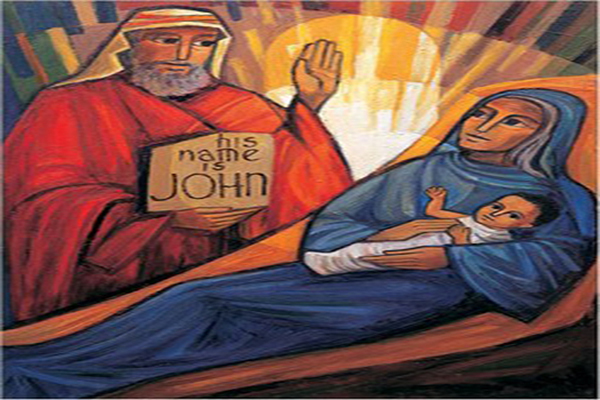 Today we keep the Solemnity of the nativity of John the Baptist. For the reflection of today, I would like to shift the focus from John the Baptist to his father Zacchariah. The Scripture tells that he was a priest of the Lord and got the revelation regarding the miracle birth of John the Baptist when he was in the temple. Miracle births are not unusual in the history of Israel. One can think of Sarah, Rebecca, Rachel, Hannah and the like who gave birth through a miraculous intervention of God. Zacchariah as a priest would have in all probability learned the Scriptures and was aware of the power of God. As a priest he would have also taught the people about these events. But though a knowledgeable man, his knowledge was only at the head level and the question that he asked the angel “How can this be?” shows that he didn’t believe it in his heart. We, Christians today, are really privileged to know more about God through the catechism classes spanning for around 12 long years, opportunities for the theology classes for the laity, research articles in the internet regarding our faith, DOCAT, YOUCAT and the like. But, is our faith stronger than the faith of our ancestors who didn’t have all these opportunities? Often our grandparents showcase a stronger and fervent faith than we who are more knowledgeable regarding the matters of faith. The life of Zaccharriah teaches us the same lesson. Do we believe God with our head or with our heart? Soren Kierkegaard, an existentialist philosopher, would speak of the leap of faith. To truly believe in God we have to take a leap into the darkness. But this leap is not an absurd one; it is a leap that we undertake because we know that there is someone on the other side though I can’t comprehend him with my rationality. He considers faith as something subjective, i.e., something that the subject has taken personally into his life for which one is ready to undergo sacrifices. Faith if only objective remains at the level of the intellect. But faith has to become subjective, i.e., something that matters me and affects my very life.